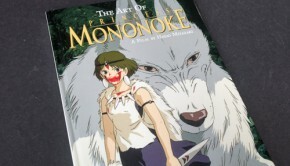 A masterpiece, not just an Anime. An original modern fable. 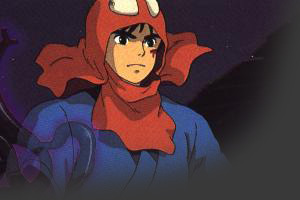 It ranks up there with other Anime classics such as Akira and Metropolis. For anyone interested in the genre this is a must see. 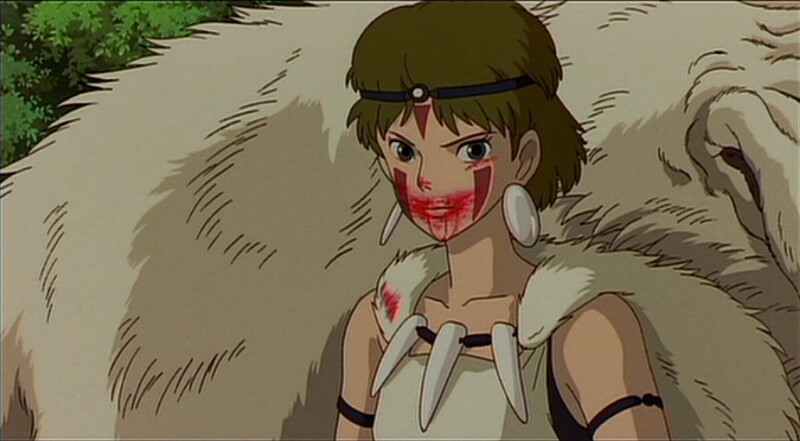 Princess Mononoke is one of the most original and unique movies I’ve seen, even if it is a cartoon. 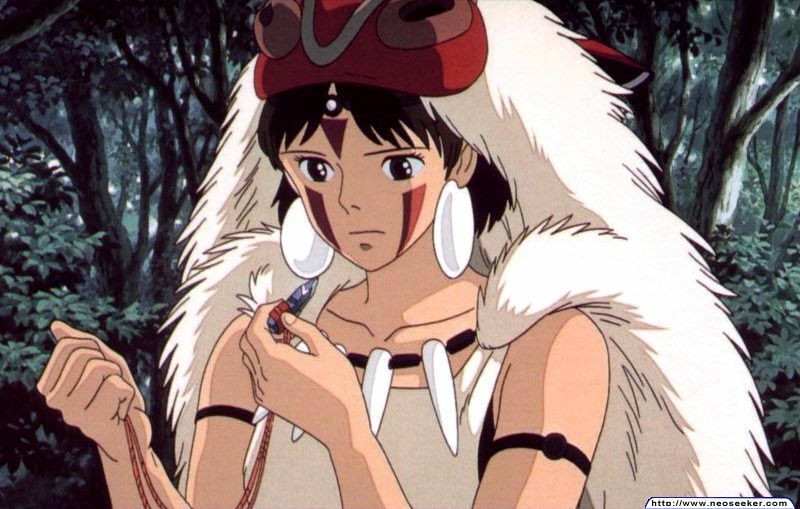 It doesn’t draw from any particular genre or type, the closest I can think of in terms of heritage is the Ainu people of northern Japan, who seem to have been the inspiration for the look and feel of it. 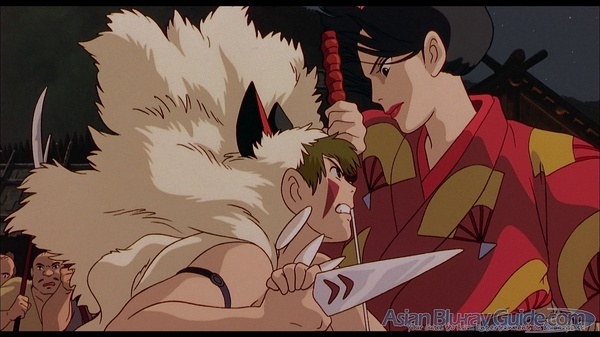 Despite it being a cartoon there is a considerable level of violence, and the situations are geared towards adults (animation is definitely not just for children). 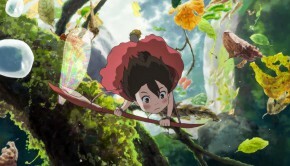 The film is quite serious, playing upon the theme of man vs. nature. It contains many epic qualities such as journeying heroes, wars, and involvement from supernatural gods, however, there is a lack of any sort of romantic love. Unfortunately, like most anime that maded to the west, the quality of dubbing can be improved. Billy Crudup’s plays a very emotionless Ashitaka, Billy Bob Thornton’s Texan accent destroyed the character and the setting, and Claire Danes completely degrades San’s noble character with a whiny, valley-girl tone. Hollywood stars just don’t have a grip of the anime. 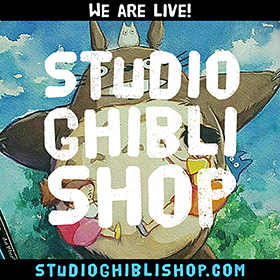 It is strongly recommanded that you watch the Japanese version with English subtitles, the voice acting is much better. 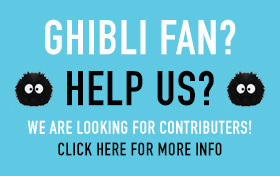 Sadly, in the upcoming DVD release, there is no japanese language version. This movie will probably stand for years to come as one of the very few truly original modern fables. 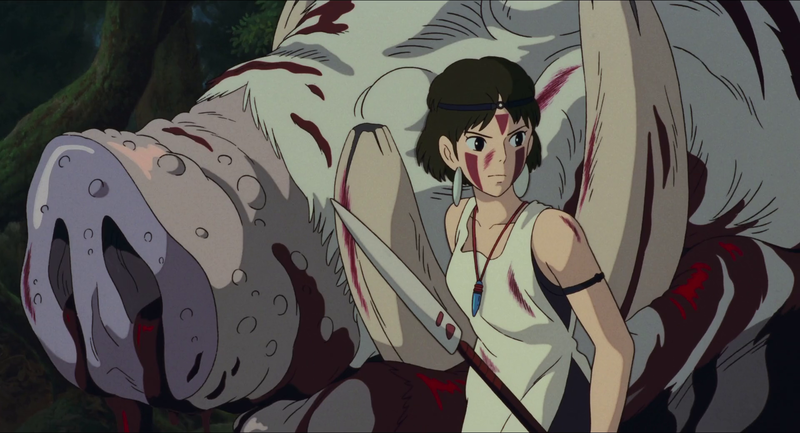 It is another Miyazaki masterpiece: Beautiful animation, mystical fern-gullyesque settings, and subtle music which complements the serious nature of the film. 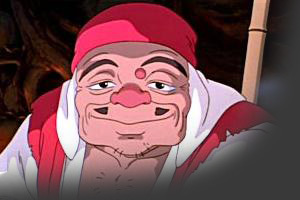 The film follows Ashitaka, a prince of the disappearing Ainu tribe, who is cursed by a demonised boar god and must journey to the west to find a cure from the Forest Spirit. 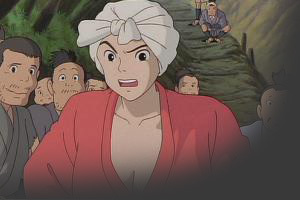 Along the way, he encounters San (The Princess Mononoke), a young human woman fighting to protect the forest and Lady Eboshi, the head of Tatara Ba (Iron Town). Ashitaka is forced to find a middle ground between the two ambivalent forces. 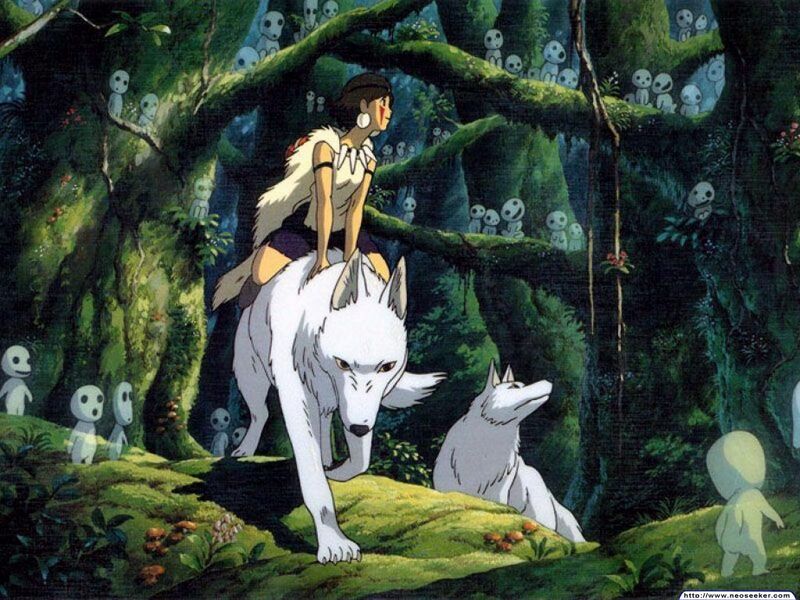 Based on Japanese folklore, “Princess Mononoke” is a riveting piece which is moving and touches upon subjects that are still relevant today – questions of war, ecology, morals and principles. A young warrior-princess. San is angry and violent towards humans, but friendly and thoughtful to animals. 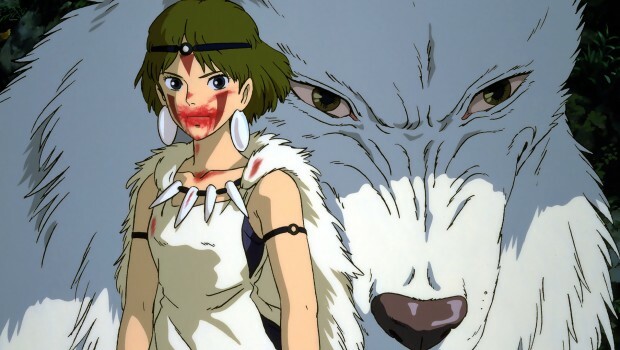 She was abandoned by her human parents when she was an infant, and has been raised by Moro, the wolf goddess. San absolutely hates humans and thinks of herself as a wolf. San has repeatedly attacked human caravans and the iron-making fortress, Irontown. She is particularly violent towards Lady Eboshi. The leader of Irontown. 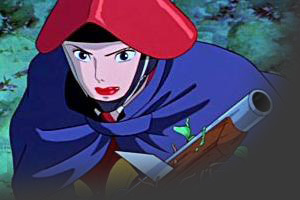 Lady Eboshi came to Irontown during a war between the citizens of Irontown and the boar god Nago. She used guns, newly invented, to win the war and earn her place as the leader of Irontown. As the new leader of Irontown, she allowed former prostitutes and lepers, previously forbidden, into Irontown to work. 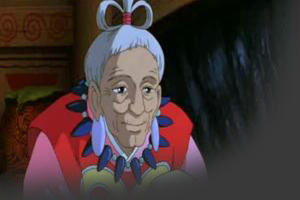 Lady Eboshi is charismatic, responsible, generally friendly, and hospitable to guests. She takes her duties in a practical and businesslike manner, be it selling iron, defending Irontown from samurai, or swordfighting. A man who claims to be a monk. Jigo is short and round around the middle, giving him an unthreatening appearance, but he is apparently very knowledgeable about the way things work. He is somewhat greedy, humorous, and slightly mysterious. 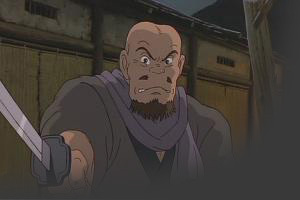 He is the one who sold Lady Eboshi the guns she used to defeat the boars. A former prostitute who lives in Irontown. Toki is married to Kohroku, although whether or not she is content with her husband is an arguable point. 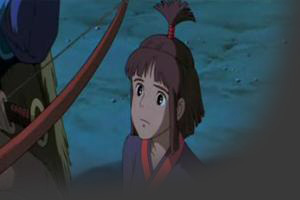 Toki assumes the role of leader when Lady Eboshi and Gonza are gone, and is looked to for guidance by the other women of Irontown. The captain of the guard in Irontown. 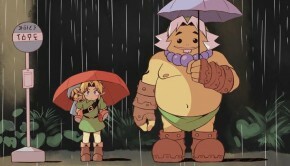 Gonza is Lady Eboshi’s personal bodyguard. He is very easily angered and brazen in his behavior, but, according to Toki, he is actually useless in a fight and easily cowed. 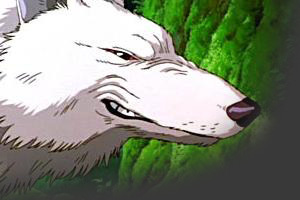 Moro is a 500-year-old wolf goddess. She is an enormous wolf. Like the other ancient gods, when she speaks, her mouth doesn’t match her words (Not due to bad dubbing). She adopted San after San’s human parents abandoned her in an attempt to escape from Moro. Moro has two sons, which are two wolves slightly smaller than her. Moro is intelligent, wise, and strong. She has the ambition of being the one to bite off Lady Eboshi’s head. Ashitaka’s noble steed. 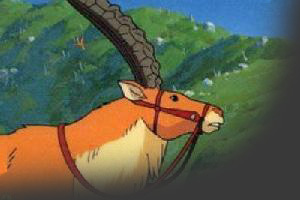 Yakul is a red elk, a species found only in the Emishi village in eastern Japan. He is invariably faithful of his rider, Ashitaka. The head of the Emichi village. The wise woman is the first person the villagers turn to in times of trouble. She can’t walk, and needs to be carried around when she needs to go somewhere. She uses stones to predict the future and make important decisions. She is respectful to the ancient gods, which is something many other people are not. The watchman of the Emishi village. 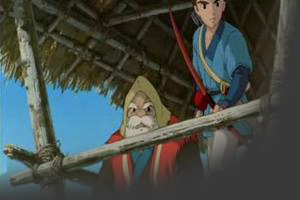 Ji-San is the trusted, elderly watchman of the village. He has apparently been a watchman for many years. He has excellent eyesight and hearing. He knows a bit about gods and demons. A young Emishi girl. She is engaged to be married to Ashitaka. She cares deeply for Ashitaka, of course. Tree spirits who inhabit the woods of the Forest Spirit. 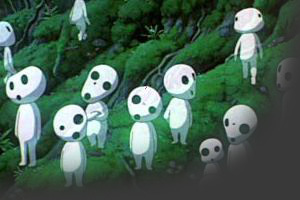 There are thousands of kodama in the forest. 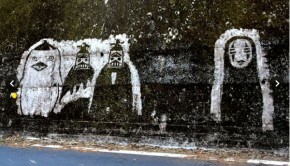 They can disappear and reappear at will, it seems. They are harmless and friendly, although some people find them intimidating. They are a sign that the forest is healthy. They have a great reverence for the Forest Spirit. An ox-driver from Irontown. 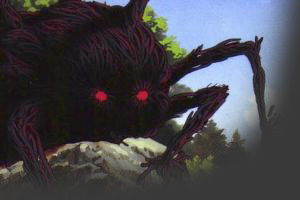 Kohroku is easily frightened and is little more than a burden for those around him. He is married to Toki and adores her, although she is irritated with his behavior at times. The giant god of the boars. Okkoto is over 800 years old, and was believed by many to be dead. He is blind, but his sense of smell is acute and more than makes up for it. 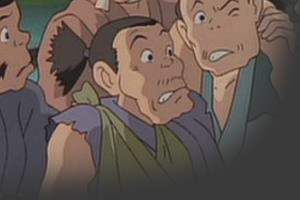 Unlike Moro, he does not have much tactical skill beyond the strength-in-numbers technique. 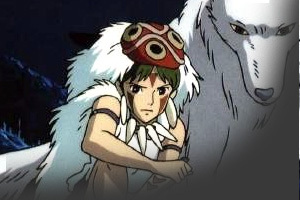 He is devoted to the Forest Spirit, willing to defend him. The god of the forests. 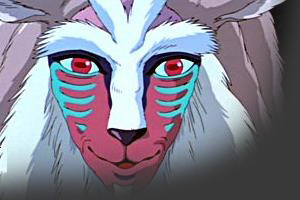 He has many names, including the Deer God, the Great Forest Spirit, and the Forest God. He never speaks. He has many different abilities, including walking on water, healing wounds, killing with a single kiss, and the fact that plants bloom underneath his feet and die when he walks away. He has the respect of all the creatures of the forest. Legend has it that his blood can heal anything, and that his severed head will grant immortality. 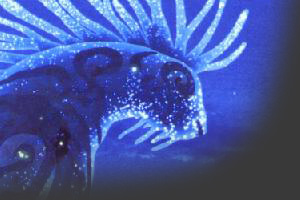 At nightfall, the Forest Spirit transforms into the Nightwalker, a giant creature made of some sort of ooze. This ooze kills anything it touches. At sunrise, it changes back into the Forest Spirit. An enormous boar that has been afflicted with a curse. 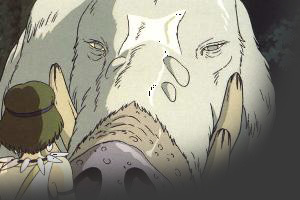 The boar attacks the Emishi village for no discernable reason. Anything it touches is inflicted with the same curse, sometimes causing instant death. 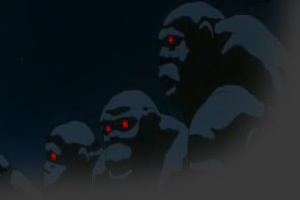 The ape tribe is made of several dozen apes, of course. They are the only animal tribe that does not try to directly attack the humans. Instead, they plant trees to replace the ones that Irontown has torn up. They are superstitious, sometimes foolish, and have bad grammar. Moro’s sons dislike them, and San barely tolerates them. Lady Eboshi uses them for target practice. < Theme Song > Sasha Lazard ?? ?